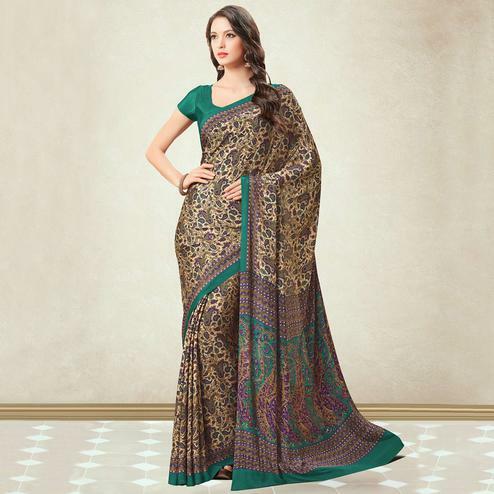 This olive green saree showcasing print work in trending small checkered design print would surely like by everyone. 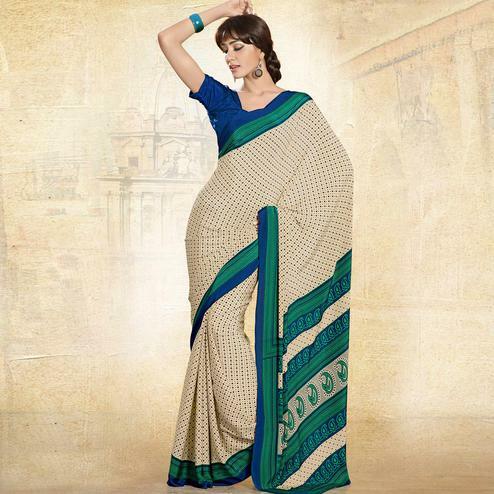 It has been made out of georgette fabric, which makes this saree lightweight and perfect to drape. 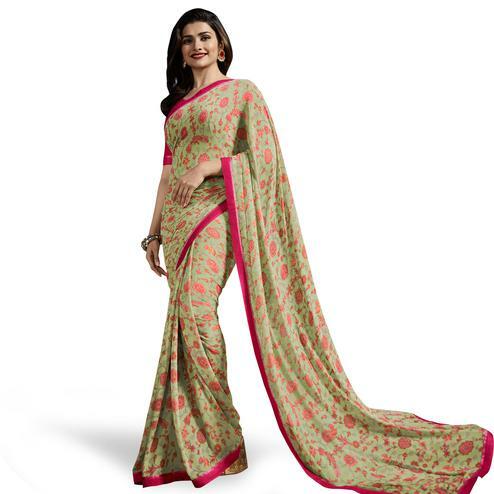 Paired with matching red matching color and fabric blouse piece in unstitched type.